Working full-time from home with two preschoolers has me constantly on the go. I spend most of my days working, fingers flying across my laptop with breaks in between tasks to referee fights over toys, check on dinner in the crockpot, give hugs, switch over the laundry, and every other task that a working mom is responsible for. When I do get a few minutes to just sit, I’m always thinking about the next task on my to-do list or surveying the mess in my tv room wondering what I should pick up first. I’m reminding the boys to use indoor voices and to please keep their fingers out of their noses. In all the busyness it’s easy to miss the blessings in life if I don’t seek them out. 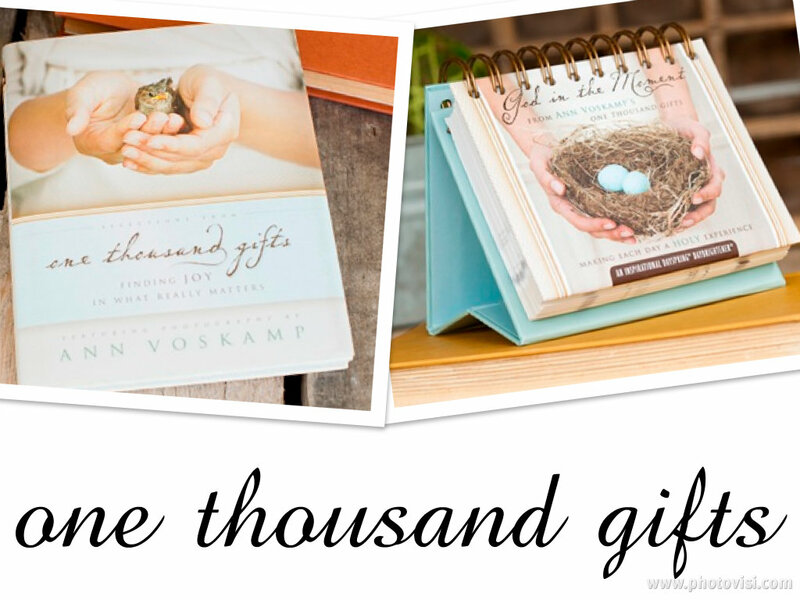 Ann Voskamp is a beautiful writer who wrote a book that I love called One Thousand Gifts in which she shows people how they can find joy. There is a line of gift items out that correspond with the book and I was lucky enough to receive two of them. Both items help me find joy in the littlest of things. The Inspirational Dayspring Daybrightener is a flip calendar that has a daily thought on each page. The Reflections From One Thousand Gifts book contains some of Voskamp’s photography and passages from her New York Times bestseller. Even better than receiving them myself is the fact that Dayspring wants to bless one lucky Making Time For Mommy reader with a One Thousand Gifts set of their own! These items make beautiful gifts as well. Tell me one thing you are thankful for in your life! For an extra entry, share this giveaway on a social network and leave a comment telling me you did so. Giveaway ends November 10, 2012 at 11:59pm. US 18+ only. I am thankful for many things; however I am thankful for my best accomplishments in my life…ever: my three wonderful boys. They are healthy and happy and I couldn’t be more proud. In a world where you hear of so much sadness and hurt, these boys bring joy and so much happiness to my world. I just wouldn’t be the same without them. I am thankful for a loving Savior who gave Himself willingly to die on the cross and take upon Himself God’s wrath for my sin and any who believe in Him. I am thankful to wake up every morning and be a part of this amazing world. I am thankful for my beautiful grandchildren. So thankful for our nation’s freedom! I am thankful for God’s amazing forgiveness…I’m so far from perfect but He accepts me as I am…and helps me to change and grow. i am thankful for my incredible hubby who supports our lil family!.. along with so many other things! I feel like we live the same day, haha. Maybe we need to call each other and encourage each other when we get into those lagging, long, redundant days. :) I have heard great things about this book- would love to read it! I am thankful for great friends who get me through those hard days! I’m so grateful for my family and for my health. I am thankful to be alive after suffering through various heart complications. Every day is a gift from God! I am thankful for the love and support of my family as I find my way through life with mental illness. I’m thankul for my two girls. They drive me crazy, but mean so very much to me! I tweeted. Thanks for the chance! I am so thankful for my husband. He has been a tremendous help as I make through the end of this pregnancy. I am thankful for my family and grand kids! I am endlessly thankful for my family and friends. They are so supportive of me in everything I do! I am thankful for my wonderful husband and our handsome one year old son. I am thankful for my wonderful family!! I am thankful for my happy, healthy children. I have so much to be thankful for. My health, my great job, my wonderful kids, a supportive family, and the best friends a girl could ask for. I am thankful for everything in my life, my family, friends, bloggers who help me to find out many great things and deals that I need. I am also thankful for this country that gives me a great chance to live, study and work! I am thankful that I am still able to move and am not completely bed fast no matter how many systemic lupus flares and rheumatoid arthritis attacks I have along with everything else. I’m thannkful that I have a large family. I’m glad there are several people in my life. I’m so thankful for my Family and my life. I have a lot of medical problems and I have survived 17 surgeries, and still battling Gastroparesis and MS. But my Granddaughter’s voice seems to send healing thoughts that help keep me going. 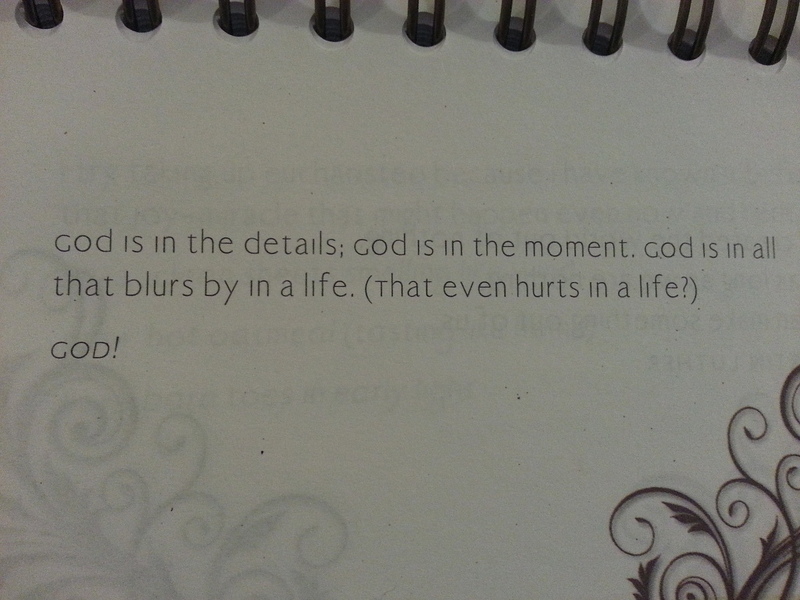 I am so thankful that God has opened my eyes to the deeper meaning of life. I’m thankful to serve a God who I can go to daily, all day long, for the little and big things in life. I’m thankful for a husband who serves and loves God. I’m thankful for beautiful and healthy children. I am thankful for moments with my family that show me so clearly the love of Jesus. I am so thankful for my family and Church family! Sounds cliche, but really if you have to pick only one thing to be thankful for, would it not be the ones you love most? So thankful for the loved ones in my life and the love they give to me! I’m thankful for life, a beautiful baby boy, and a loving husband! I am thankful for a forgiving, loving Savior and my family whom He has blessed me with. I am very thankful for my family; my younger sisters motivate me and always put a smile on my face. I am thankful for my family. What a blessing they are…a truly undeserved gift! I am thankful for my family. What a truly undeserved gift they are! I am thankful for my family and that my soon to be son will be here!! I am thankful for my two wonderful children and my great husband who loves us all more than anything. I am so blessed to have my family. I am thankful for the Lord, our Go. Without him we wouldn’t have anything, even our lives and families, to be thankful for. My thanks begins first and foremost towards Him. I’m thankful for my family and friends – especially since so many had homes damaged/destroyed in Sandy – it really makes you thankful for a roof over your head, food, heat, and each other to lean on. I am thankful for God who has blessed me with an amazing husband and a wonderful family! I am thankful for my loving family. I’m thankful for all the love in my life. I’m so thankful to have GOD in my life and for his greatest gift to me, my SON! I am thankful for my faith in Jesus Christ, my Lord and savior. Without him, I don’t know how I’d get through life. I am thankful that after a couple tough deployments, my son is now out of the Army an slowly settling into a civilian world. I’m thankful that my kids are healthy. I am thankful for hearing the sound of laughter so often from my family! I am so thankful for my five healthy grandchildren! I’m Thankful for my beautiful daughter,2 neices,2 sisters,mom & dad.I’m also thankful for God’s grace and healing. Last yr I had stage 2 hodgkins lymphoma and a few months ago I had my 2nd clear PET scan. I give all my thanks,praise and glory to God. I’m so blessed! Thank you for the wonderful giveaway! Thankful that my family all have healthy brains and bodies! I am thankful for the health of my kids. I am thankful for my kids health. I am thankful for my family having good health.. I am thankful everyday for my beautiful family.. i have the most supportive and loving husband and 5 wonderful babies that i cannot imagine my life without. daily i thank them for what they teach me and do for me. without them i would not be the strong woman i am today. I’m thankful that I have another year with my whole family.